I just finished SuperFreakonomics, the sequel to Freakonomics. It’s an entertaining book that I highly recommend. In chapter 5, they discussed whether global warming is even a threat, and took on both conservatives and environmentalists. A “sustainable retreat” sounds a bit like wearing a sackcloth. To citizens of the developed world in particular, this would mean consuming less, using less, driving less—and, thought it’s uncouth to say it aloud, learning to live with a gradual depopulation of the earth. If the modern conservation movement has a patron saint, it is surely Al Gore, the former vice president and recent Nobel laureate. 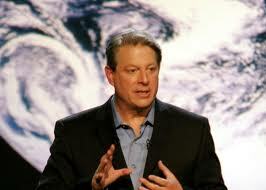 His documentary film An Inconvenient Truth hammered home for millions the dangers of over-consumption. He has since founded the Alliance for Climate Protection, which describes itself as “an unprecedented mass persuasion exercise.” Its centerpiece is a $300 million public-service campaign called “we,” which urges Americans to change their profligate ways. So while the true believers bemoan the desecration of our earthly Eden, the heretics point out that this Eden, long before humans arrived, once became so naturally think with methane smog that it was rendered nearly lifeless. When Al Gore urges the citizenry to sacrifice their plastic shopping bags, their air-conditioning, their extraneous travel, the agnostics grumble that human activity accounts for just 2 percent of global carbon-dioxide emission, with the remainder generated by natural processes like plant decay. It is generally believed that cars and truck and airplanes contribute and ungodly share of greenhouse gases. This has recently led many right-minded people to buy a Prius or other hybrid car. But every time a Prius owner drives to the grocery store, she may be canceling out its emission-reducing benefit, at least if she shops in the meat section. How so? Because cows–as well as sheep and other cud-chewing animals called ruminants–are wicked polluters. Their exhalation and flatulence and belching and manure emit methane, which by one common measure is about twenty-five times more potent as a greenhouse gas than the carbon dioxide released by cars (and, by the way, humans). The world’s ruminants are responsible for about 50 percent more greenhouse gas that the entire transportation sector. Even the “locavore” movement, which encourages people to eat locally grown food, doesn’t help in this regard. A recent study by two Carnegie Mellon researchers, Christopher Weber and H. Scott Matthews, found that buying locally produced food actually increases greenhouse-gas emission. Why? So is it even a problem? The real question is whether it will be the catastrophic apocalypse portrayed by Al Gore, or is it something made up as Rush Limbaugh likes to claim? Levitt and Dubner think that both positions are extreme. They write that from 1945-1968, scientists were warning of global COOLING because there was a large increase in snow cover and a decrease in sunshine in North America. Scientists then were worried that we couldn’t grow enough crops. But even with that cooling period, global temperatures are up over the past 100 years. It does appear that the ice caps are melting, but it doesn’t mean that Florida is going to be under water any time soon. Mount Pinatubo was the most powerful volcanic eruption in nearly one hundred years. Within two hours of the main blast, sulfuric ash had reached twenty-two miles into the sky. By the time it was done, Pinatubo had discharged more than 20 million tons of sulfur dioxide into the stratosphere. What effect that hat have on the environment? As it turned out, stratospheric haze of sulfur dioxide acted like a layer of sunscreen, reducing the amount of solar radiation reaching the earth. For the next two years, as the haze was settling out, the earth cooled off by an average of nearly 1 degree Farenheit, of .5 degrees Celsius. A single volcanic eruption practically reversed, albeit temporarily, the cumulative global warming effect of the previous hundred years. Well…the earth has been cooling for the past 15 years…so whatever they are doing is working. I watched a Ken Burns documentary about the dust bowl. This was environmental disaster that could have been prevented if people had been warned and heeded the warning that plowing up too much prarie grass could cause a real problem. Perhaps are we are being blessed with the knowledge to prevent a future environmental disaster. Walter Cronkite wrote a book that I read about the Dust Bowl. He made it seem like the farmers didn’t know that plowing the earth up would be so disastrous, and the guy who proposed soil conservation was going against popular notions. Was it Skousen who talked about the ‘unholy-robes’ of the priesthood in regards to science/universities? (BTW, I am a university professor so I have to wear those robes often). I love how they keep going back and forth on a topic and each time is “the truth!” for example, NASA just published a study http://principia-scientific.org/supportnews/latest-news/163-new-discovery-nasa-study-proves-carbon-dioxide-cools-atmosphere.html#.UVYwRz4bXF4.facebook that says that CO2 and other greenhouse gases actually cool the earth off. I’ve never understood the idea of ‘man-made’ global warming, especially in regards to CO2. Less than .04% of the atmosphere is CO2 and only a small percentage of that is man-made. Even if we add so much man-made CO2 to double the content, were still talking less than .1% of the atmosphere. And most CO2 comes from plants and oceans. Oxygen is a worse absorber and there is 20% of the atmosphere that is oxygen. Finally, CO2 is a necessary component for plant growth. recent studies have found that the increased CO2 levels (yes, even over this supposedly terrible 400 ppm level) is actually greening the deserts. http://www.csiro.au/en/Portals/Media/Deserts-greening-from-rising-CO2.aspx Imagine that. My approach to the subject of global warming has been to ask myself what the real agenda behind the subject at hand is. The facts about man’s contribution toward real global warming are that they are near nothing compared to nature’s output…as you pointed out. But the alarmist would have us believe otherwise. I ask myself the question…who benefits from the proposed idea that man is the ultimate enemy of the earth? I believe in a spiritual war taking place in almost every arena. So is it God and His plan that wins out with this idea, or Lucifer’s. Some would argue that it is God that wins out because this new alarm being sounded will cause us to be better stewards. Perhaps. But I actually made this topic a matter of prayer several years ago. I didn’t want to be misled by either philosophy and I didn’t want any pre-conceived political perspectives I had to detract me from the truth. For me, I feel I received an answer. It came after much continued research and exposure to information that is too lengthy to relay. Suffice it to say, the shortest bottom line concept I was given through the spirit to my spirit was that this philosophy of panicking mankind into thinking the earth is on the verge of destruction through man-made global warming has a couple of dire consequences that point to Satan as being the motivating author (even if people have good intentions). 1. It is an undisputed fact if studied thoroughly, that a major desire of those advocating these ideas is to lessen the world population. People are the problem, hence decreasing the population is a viable and sought after solution. While it may be years before the desires of their objective are truly met, the ultimate goal of the die-hards is to limit the number of children people can have. Do honest research and you will see this is true. For me, this was an undeniable evidence that the source of this doctrine is not God, but Satan. 3. The motivation of many in the movement seems to be to create fear. Fear is not of the Lord. The fear they create is ultimately driven by a desire to “control” people, governments, policies, etc. To limit freedom and get people to willingly comply because they feel a sense of panic or urgency and desperation. This is to me is also a signature of the Adversary. I could go on, but this gives you a running start on why I feel after much prayerful study and consideration that there is an agenda authored by the Adversary behind the entire issue and I see it as being extremely crafty and deceitful and one that is intentionally very difficult to see through. Which is worse: believing only evidence, or believing only what was written in a book 2000 years ago? Scientists believe man is causing global warming because that’s where the evidence point. There’s no evidence for God, yet you believe in it over man-made global warming. What does that tell me? The scientists are reasonable.